It's that time of year when you might find yourself away from a plug socket for some amount of time. 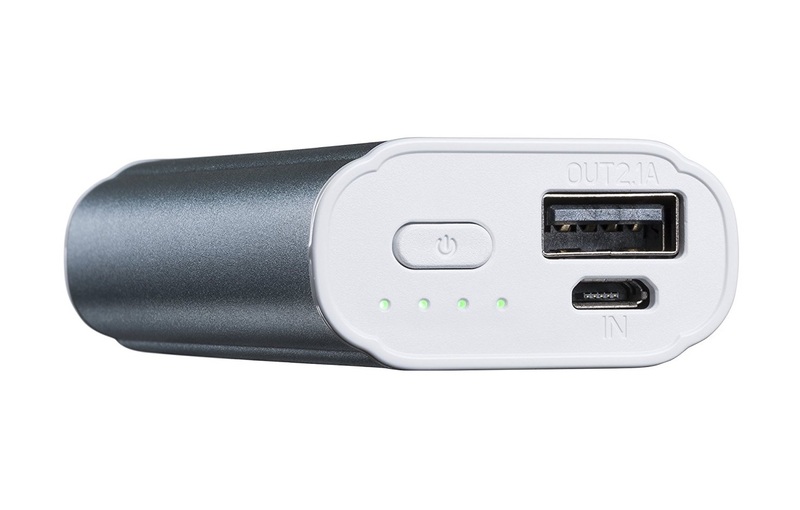 You could be travelling to foreign lands, camping out in the wilderness, of just spending a few hours at the beach – either way, you'll be unable to charge your phone That is where portable power packs come in handy, and we've recently been charged up by quite a good 'un. We check out the Varta Power Pack 5200. 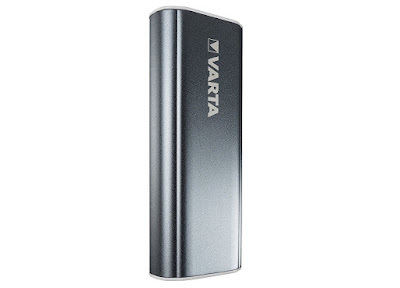 Some of you might remember that last year we reviewed the Varta Power Pack 2600 – essentially the little brother to this pack – and we were mightily impressed. 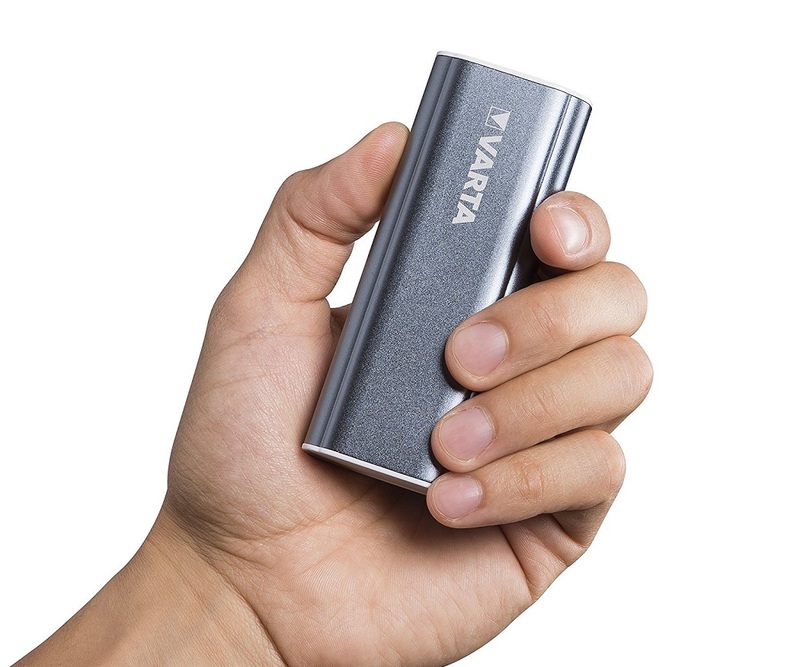 The Varta Power Pack 5200 is, as you might expect, a beefier, larger portable battery, carrying a bigger charge: 5200mAh, in fact. 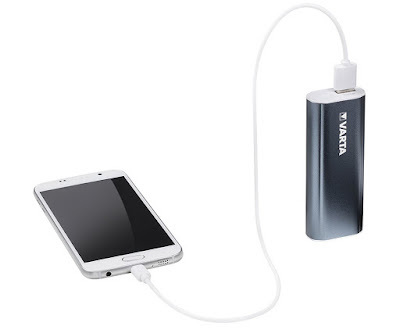 Varta state that this means it can give the average smartphone two full charges, and the average tablet one full charge, before giving up the ghost. Which we tested. First up, the device itself is very nice looking. It features a solid aluminium body making it tough and robust, but is also quite lightweight at 126g. It isn't much bigger than the 2600 actually, being slightly chunkier and wider. On top you'll find the Micro USB port for charging it up, and also a full-sized USB for connecting to your gadget of choice. There is an on-switch, too, which is something we prefer on our mobile chargers. Unlike the 2600, Varta have the room to pop in some battery level indicator LEDs, so you'll always be able to see how much juice is left; again, something we find very useful. You get a USB cable included, but it is quite short, so we always opt to use a longer wire, and usually the one that came with whatever phone we need to charge. Varta state on their website that the two-charge phone test was carried out on an iPhone 5C. That isn't a very big phone, to be honest, and as most of us at The Test Pit use phablet-style smartphones, we weren't expecting too much. However, after testing it on a completely dead Samsung Galaxy S6 Edge Plus (a big phone), and then a dead Blackberry KEYone (also a pretty sizeable phone), the Samsung was fully charged, and then the Blackberry got to 82% before the charger gave out. That is pretty impressive, and we would go so far as to say that was (almost) two full charges. Obviously, charge times will depend on your type of phone, but it's nice to know that even the larger handsets will be done proud by the Varta Power Pack 5200. And, obviously, this will also work with anything that receives a charge via Micro USB, so your camera, action cam, Nat Sav, GPS, eReader... anything. It's small, tough, easy to carry without you noticing, and yet it packs enough punch to keep you going for a good couple of days.